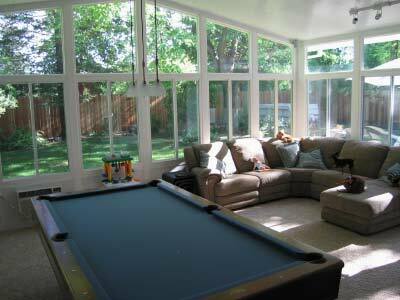 With thousands of happy clients, we know how to build the perfect sunroom for your home. Eureka residents want to enjoy the splendor and beauty of northern California; however, the winter weather doesn't always agree. 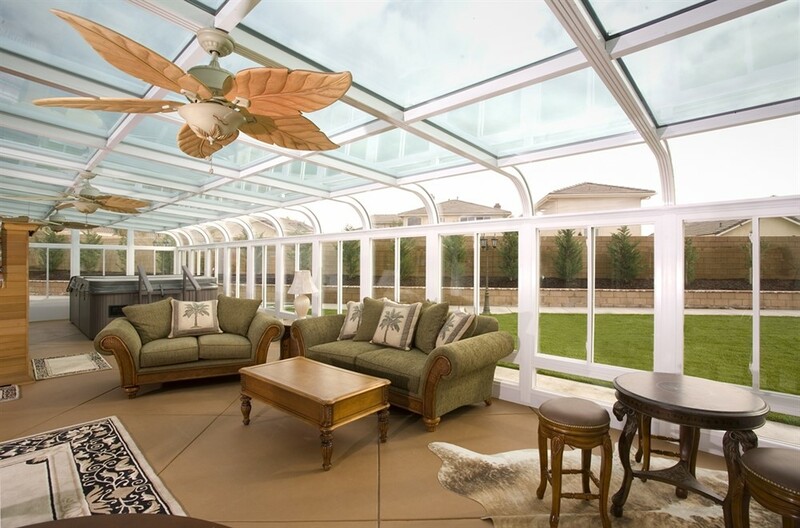 All season sunrooms and glass conservatories can be an ideal solution for year-round enjoyment, while blending the indoor and outdoor environments. 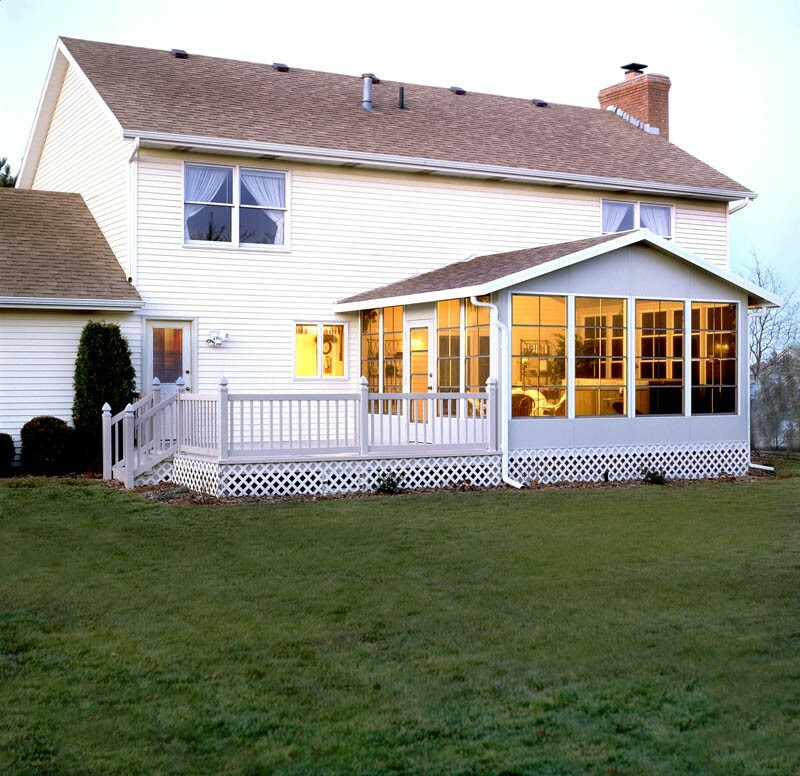 Well-known throughout Eureka, sunrooms fro C-Thru Sunrooms are virtually a staple of many communities in this area because we’ve been building beautiful sunroom spaces since 1947. 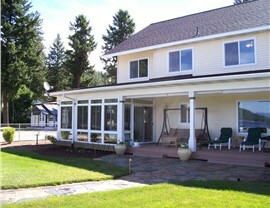 We have literally built thousands of sunrooms, which we’re proud to say also means we have thousands of happy customers. 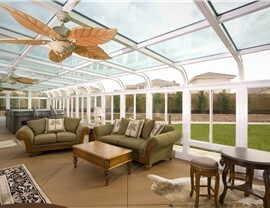 No other style of Eureka sunroom installation is as dramatic and eye-catching as a conservatory. That’s because this design features pane after pane of sparkling windows—even the roof is made of windows! 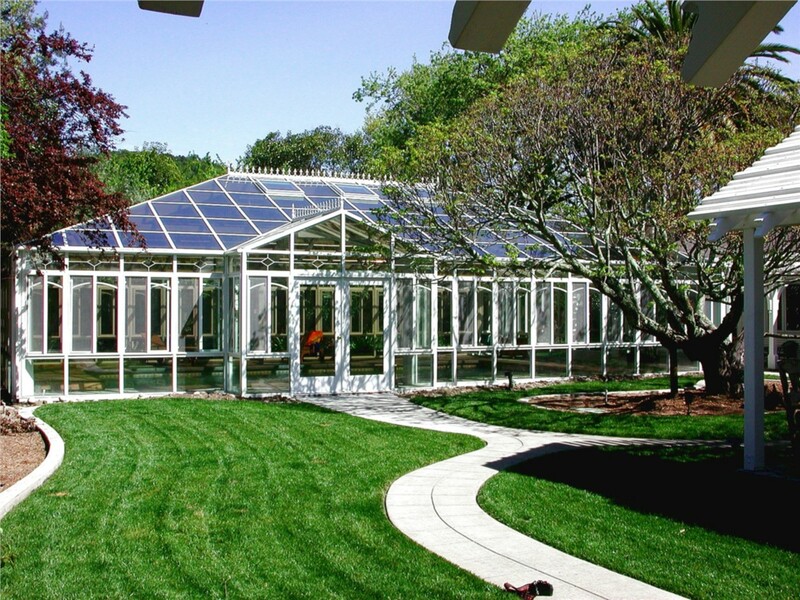 Your plants will also appreciate the warm rays of sun that our conservatories allow into your home in every season, making it possible for avid gardeners to tend to their plants year-round. Unlike the inferior-quality glass used by many of our competitors, the exceptional thickness and quality of our glass roofs means that our spaces are even better at keeping the indoor temperature consistent. 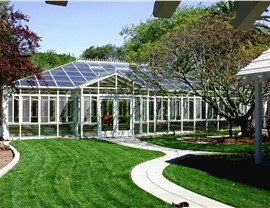 We use the latest in glass technology to for the ultimate protection against solar heat. Is your existing outdoor space not being used to its fullest because it gets too hot and uncomfortable under the rays of the sun? Do you wish it was a more enjoyable space for spending time outside with friends and family? 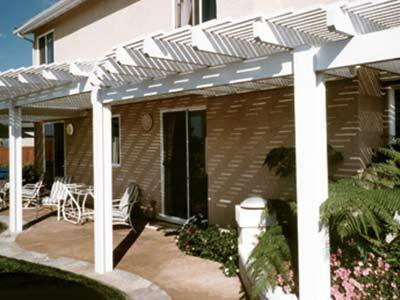 Patio covers om C-Thru Sunrooms are the perfect solution! We can easily create a brand-new space or alter an existing deck or patio on your Eureka home to provide you with a perfectly protected area for relaxing or entertaining. 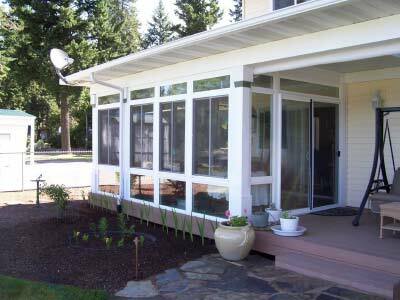 Sunroom additions can be beautiful, but they can cost a lot of money and, with all that glass, they can also be high-maintenance. If you’re looking for a more affordable, low-maintenance way to enjoy the weather, choose from our screen rooms. It can be customized to match the existing architecture of your home. 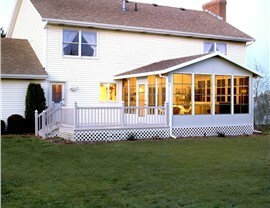 We can build a new screened room, or we can modify your existing deck or patio space. Our structures are backed by a transferable manufacturer’s warranty. Although Eureka enjoys mild temperatures throughout the year, it can still get unpleasantly chilly in the winter and hot in the summer! Make sure you and your family stay comfortable with an all season room. Not only can our enclosures be designed to include heating and cooling units, they are also engineered with insulating glass that is guaranteed for 20 years against seal failure. 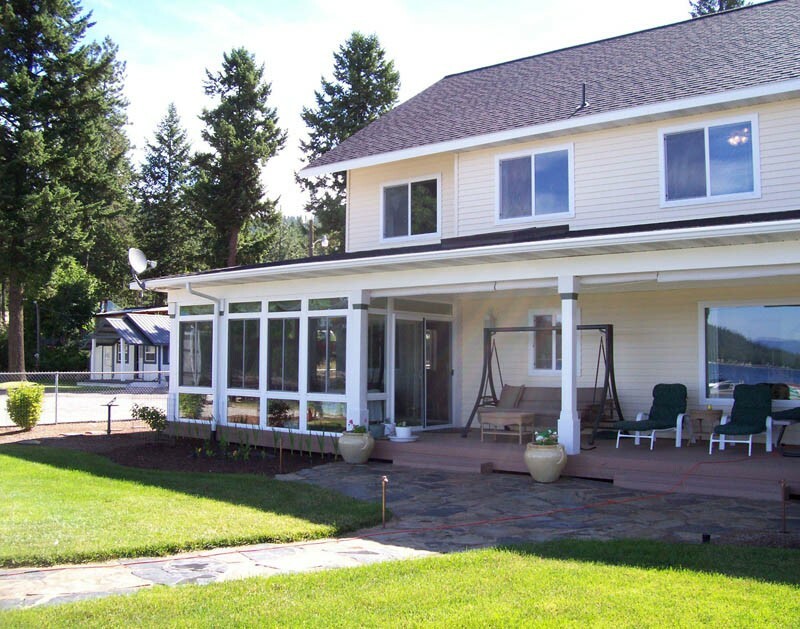 Because we provide the Eureka leading sunroom installation in your area, we offer many different sunroom design options as well as innovative and energy-saving ways to customize your installation—all while respecting your busy schedule and your budget. Give us a call or fill out our convenient online form and we’ll get you started with a free estimate.